I have been chasing mushrooms since photo 1 of this blog. Boy, that sounds wrong doesn't it??? Anyway, Every time I saw a mushroom I was kicking myself for not having my camera. Last week we had some come up in our yard. It was weird, a lot of houses had them out by the road. I had never seen them to prominent before and then all of the sudden they were everywhere. Well, the mushrooms in my yard were just not in the right place for a good photo so I gave up on them. 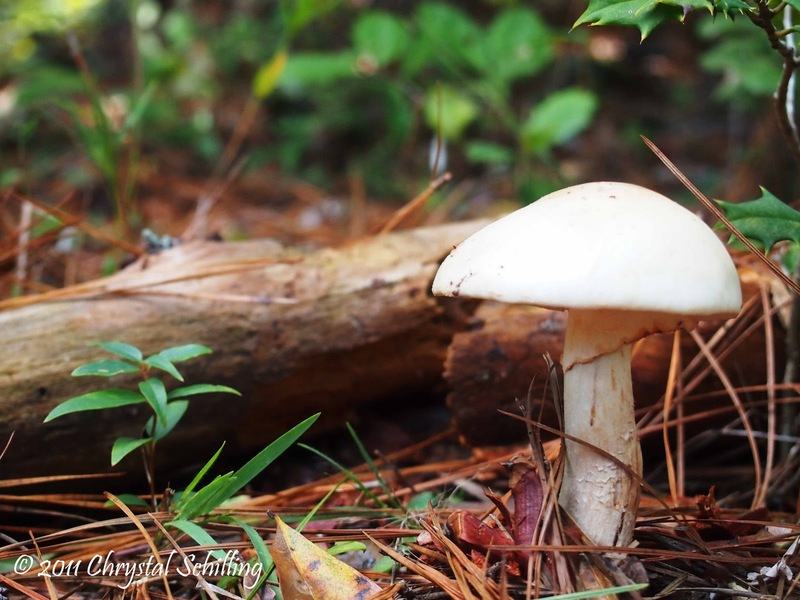 This weekend my family and I went out to a local battlefield location and just off the trail was this mushroom. Perfect! Nice background, no road or tall grass to ruin the photo. I sat my camera almost to the ground and took the shot. Loved it! I think my ISO was too high. I had just taken some photos in the shadows and didn't bring it back to 400 before taking this shot. I still think it is great. The lighting is good and the focus is good. Not easy when you are basically just pointing and clicking. I couldn't even see the screen on my camera, just could see the general location of the mushroom.